At Advanced Magnetic Imaging and Advanced Women’s Imaging, we understand you have choices when it comes to diagnostic imaging services. Led by our highly-skilled team we have designed our imaging services to provide the highest level of care to each and every patient. Advanced Imaging has two American College of Radiology (ACR) accredited facilities that offer state-of-the-art diagnostic imaging services to Hudson County and its surrounding areas since 1985. In order to provide a more individualized experience Advanced Imaging of NJ offers MRI and CT services at Advanced Magnetic Imaging and Digital Mammography, Digital X-ray, Ultrasound, Bone Density, as well as Echocardiogram and EKG/ECG services at Advanced Women’s Imaging. The facilities are conveniently located within walking distance to each other. We are dedicated to providing our patients with a convenient and comfortable experience. The medical team at Advanced Imaging provides sub-specialty trained, board certified radiologists dedicated to caring for our patients and the community. Our radiologists combine the most current medical developments in radiology into a wealth of training and experience, allowing us to bring you a level of patient care that is unsurpassed. Our facility has parking and is conveniently located near most public transportation stops; however we offer complimentary transportation upon request. 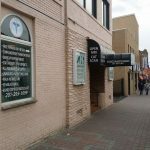 Advanced Imaging has flexible hours, a bilingual staff and is handicap friendly. 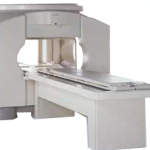 Since our beginning 30 years ago Advanced Magnetic Imaging has sought to provide the highest level of quality in diagnostic imaging without sacrificing comfort. Our team of Radiologists are Board Certified by the American Board of Radiology with extensive experience and advanced specialty training. For instance if you come in for a Brain MRI or CT a radiologist who has gone through extensive training in Neuro-Radiology will interpret the study to ensure the highest level of quality. Our skilled team of advanced licensed technologists and a dedicated clerical staff coordinate efforts to provide comprehensive care and support in a caring and professional environment. Our dedicated and knowledgeable staff coordinates their efforts to ensure patient and referring physician satisfaction in a timely manner. 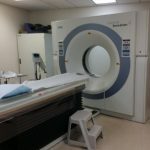 Our technologists are licensed by the State of New Jersey and have advanced licensure through ARRT (American Registry of Radiologic Technologists) in MRI and CT. Advanced Magnetic Imaging has received accreditation from the American College of Radiology, the gold standard of accreditation in radiology. Servicing the medical needs of our referring physicians and their patients is of the utmost importance to us and we recognize that patients are often anxious or uncomfortable, and we strive to ensure that each person’s experience is as pleasant as possible. The technologist’s goal is to set the patient’s mind at ease by carefully explaining the procedure while providing a comfortable and efficient environment. We welcome any questions you might have about your procedure or exam. Remember – we are here to deliver excellent medical care to you and we want your experience to be a great one! The complexity of health insurance and managed care has had a great impact on the detailed information required by our office staff to ensure the accuracy of the appropriate examination ordered and to streamline and facilitate the necessary information needed to provide complete and accurate billing. Advanced Magnetic Imaging takes great pride in a tradition of outstanding professionalism and dedication by our staff.